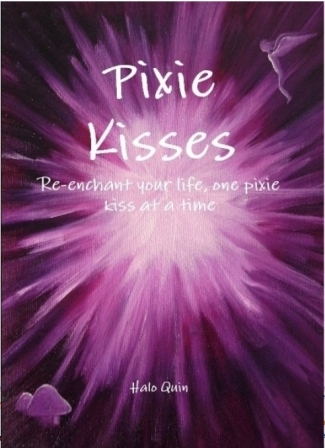 This is the first of a series of suggestions for re-enchanting your life, one pixie kiss at a time. The introduction is here, and you can watch the path unfold here. This week, take your camera for a walk. Pick a day when you have an hour or two to wander and go for a walk. In the Northern Hemisphere it is still cold this time of year, so respect the powers of Jack Frost and wrap up warm… and go out anyway. Breathe in the beauty of the world. Notice the little pieces of nature that peeks through the cracks in the pavement, or the majestic sweep of tall buildings, or the charming creepiness of abandoned buildings. Notice the expanse of sky above, or the crumbling stone beneath your feet. Notice the smells and sights and sounds, and take pictures. Really focus on the world around you. Opening to the world opens you to the layers of magic in the world, the realms which lie just below sight, just below the obvious. Open to beauty, open to noticing, open to wonder. Use your camera to focus your self on the world… and open to the possibility of the Fey beings that surround you. The conscious blueprints of nature, the souls of the world. If everything is a vibration, and vibration is sound, can you feel, in your bones, in your heart, the song of the Fey? Invite your Faery guide to join you as you wander and wonder. Be open to their presence. See what happens. When you get home, I’d love to see your pictures, hear your stories… come play in the garden, if you’d like to, leave me a footprint in the comments. I will be posting Pixie Kisses, small steps you can take to re-enchant your world, here, once a week for the next four months. Take them and play with them. Let the ideas inform your work and play. Find them under the category “Pixie Kisses”. And, if you wish, you can join us on Facebook in the Enchanted Grove for sharing and discussions on the enchantment you find! As children we already knew what it meant to be enchanted, to find wonder in every moment, to see the world around us as alive. Because of this we could wish upon a star each night, and have our wishes come true. Something you may choose, to bring some of the enchantment back into daily life, is to consciously reintroduce some of the acts which encouraged a playful, wonder-filled outlook. Think back over your childhood, what rituals did you have that might fit into your life now? Perhaps you wished on the first star each evening, or left a mouthful of every drink for the faeries. Perhaps you had a rhyme for luck, or a lucky charm you carried with you. These are not actions of superstition, but rituals you can enact on a daily basis, consciously, with the intention of bringing magic into your life. Choose the rituals which you feel focus on the wonderful in the world, and re-adopt them as daily spells for enchantment. Who do you dream of being? To be enchanted without becoming lost it is key to know your own heart, the centre of your self, the home of your soul. So now we turn from the space around us, and the beings that are our allies, and the enchantment already in the world, to face our own selves. There are entire libraries on this subject, legacies, traditions and stories galore. I actually have a book coming out later this year with Moon Books publishing (I’m very excited!!!) 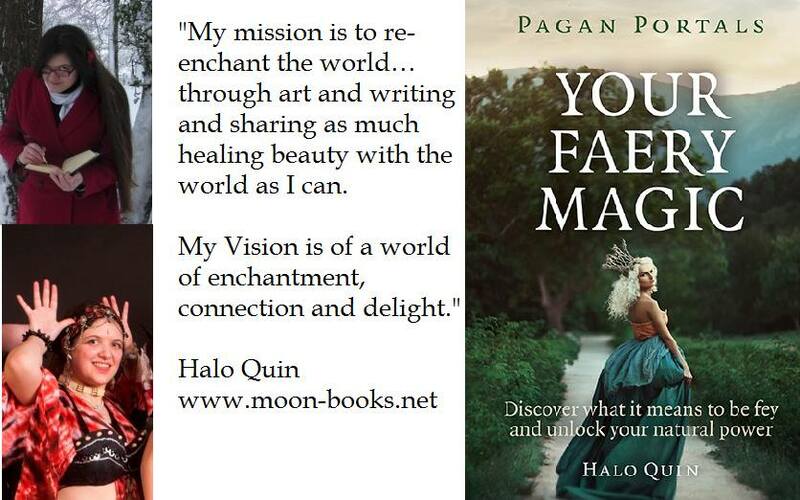 on Faery Magic, begins with getting to know your own self in the context of enchantment and Faery Magic… and some of the foundational ideas which have guided me so far. It is simple, in truth, and yet we are complicated creatures, layered within and without with stories and ideas and labels we don’t always realise we hold. So I offer this very simple suggestion: take some time to explore what is in your heart right now. Sit and breathe gently, use the meditative exercise I outlined in the fifth Pixie Kiss (link) only set your intention to see what is in your heart. Ask yourself the question: who am I? When you are done, take a deep breath, and relax as you breath out. Now begin to fill the space around the heart with those things you’d like to bring near yourself, closer to your heart. And again, when you are done, breathe in deeply, and breathe out the tension and extra energy you are holding. Let yourself relax, and come back to awareness of where you are physically. You can ask your ally to watch over you if you like. Give yourself a break, ground, take notes if you need to. Leave the piece of paper in a safe place for at least an hour or two, then come back and look it over. See if anything surprises you or if there are patterns. I’d encourage you to seek out other self-exploratory techniques, if you don’t have some under your belt already, and to really begin to explore what is in your heart, who you are. What does enchantment mean to me? Why am I interested in bringing more of this into my life? Into the world? What are my expectations around this path of enchantment? Why am I drawn to the Fae? What are my patterns of thought? What are the connections between who I am, and how I would like to be? If they are different, what is stopping me from moving from one to the other, and why do I want to be other than I am? Every journey is better with company, and this path is no different. Of course, the option of company from at least two realms is less familiar to our culture, but I’m sure we’ll manage! Who better than to guide our efforts in bringing together the faery and human realms than a Fae who is doing this themselves? Today I present a simple exercise to reach out to one who would help. The philosophy of faery, my ideas behind what they are and what their relationship is to us I will leave for another day, it is enough, for now, to be aware that there is more to this world than meets the eye. And, well, hooking up with someone who can guide you through the parts of their world and magic while you help them with ours can only help with bringing the realms closer. Find somewhere quiet, safe, magical. It might be a quiet space outside, or it might be your Faery Altar. Your choice. Allow protection to enfold you, however you do this normally if you have a set way, or simply by imagining a sphere of light around you keeping you safe and asking for the blessing of the Faery Queen. Relax and slow your breathing a little. Count your breaths backwards, from 30 to 1, imagining each in-breath draws in light to feed you, and each out-breath releases tension. Allow yourself to relax. Imagine you are surrounded by a green mist and you begin to float. 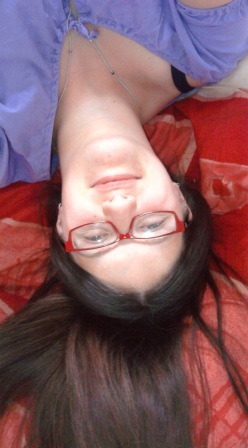 Float up and up, breathing softly, deeply, gently. Hold the intention in your heart to meet a friendly fae, one who would like to team up with you on this journey of re-enchantment, one who chooses to be an ally. Let your body and mind relax in the green mists of faery, and soon images and impressions will begin to come to you. Watch them, allowing the protection you called earlier to hold you safe. Watch them until one begins to solidify into an independent being, a fae who chooses to be an ally on this path. Interact with them for a while, get a sense of who they are, and whether you are right for each other. When you feel ready, bid them farewell and allow them to drift back into the mists… and feel yourself slowly floating down, back to earth, back to your self, your body. You can repeat this as often as you like to meet them on other occasions, or, if no ally appeared at first, to seek again. Get to know each other, treat them with respect, and don’t make any promises until you are very certain what you’re promising! Trees are central, in so many ways, to our lives. We know that they provide oxygen, and soak up CO2… its like we breathe with the plants of the world, we breathe out as they breathe in, they breathe out and we breathe in. And trees are especially special, not only for their fruit and their wood, their shelter and their roots holding the earth together, but also for their presence. As Thomas Moore begins to say in the quote above, trees hold a special place in our mythologies, stories and hearts. This is the time of year where many people decorate trees, or make Barbara Twigs, or burn Yule Logs, honouring trees even in our consumer-orientated lives. If we can do this mindfully, and not simply out of habit, then the act of choosing and decorating a tree can be enchanting… and the trees which sparkle with snow and fairy lights in the dark winter nights certainly enchant me! The decorating of space for festivals, like Yule, Christmas, Halloween and even birthdays, is a way of bringing enchantment into our homes. We change the space to reflect the energy we choose to invite into our homes. Connecting with trees orientates us in the world, reminds us of the World Tree (present in most, if not all, cultures), and soothes our souls. The hype of Christmas may be overwhelming, but the acts involved are all, in themselves, things we can take on board. Decorating our home with love and delight, connecting with trees, treating our time and space as time and space to celebrate in, all these are positive acts. It is not just trees which we take too literally, our lives have drifted away from mythology, and it is the sense of layers, magic and wonder in a world with myth embedded in it that makes our hearts sing. How can we reconnect with the magic in the world? Remember that the whole world is ensouled, and allow ourselves to be enchanted by it. Start with trees, trees which span the worlds, trees which are so much more than mere building materials. Merry midwinter to you all. May we step back into the enchanted garden as the sun blesses our days with ever-more light! We started by making some space. Space for enchantment, space for the Fae. For our second step, we began collecting enchantment, in the form of stories. You might want to write some notes, brainstorm, or draw, make collages or music or whatever helps you gather your thoughts into one place. When you have an idea of what enchantment means to you, see if you can express it somehow on a piece of paper that you can keep somewhere visible in the space you’ve dedicated to Faery – or somewhere you’ll see it but others won’t if you have people around who are less than supportive. Next, begin to think about how that sense of enchantment might be expressed in your life. If you were enchanted by life, what would that be like? If life were enchanting, full of wonder and delight, how would you start each day? What would you wear? What would your home look like? How would you move through your day? What little thing can I do today to bring that feeling, that life of enchantment, into my day right now? Write down any ideas that come to you, however silly, write them all down until you feel done. Then look them over and see which ones appeal to you today, and if there is one you can start right away. Perhaps you’ll choose to wear colours which make you feel like a Queen, or a Dryad, or an Enchanter. Perhaps you’ll swap your shampoo for one which smells to you like faeryland and magic. Perhaps you’ll choose to wear flowers in your hair each day, or to learn to dance, or to start a gratitude journal, or a dream diary. Perhaps you’ll choose from now on to only buy beautiful things, or to leave gifts for strangers in bus shelters, or to move your desk so you can see out through the window while you work. Choose something that works for you, and as that becomes habit, you can add another thing, and another. Begin to change your life. Choose the things that make you feel happy, and let that joy radiate out into the world. We started by making some space. Space for enchantment, space for the Fae. Now we can continue this process, making more space in our lives and our minds, and charming ourselves with what we choose to attract. Following the principle of magic that like attracts like, fill your life with the kinds of wonder and stories of the magic you choose to tap into. Collect stories, poetry and art about the Fae, about enchantment, about wonder. Surround yourself with beauty, with enchantment, and become enchanted. Share what you find with friends, post links here if you like… better though, to meet with soemone in the flesh and share what you have found and loved! Enchant each other! Then, take your favourite words – poems, songs, stories – out to somewhere beautiful and dedicate them to the Fae. Speak them aloud, with feeling, tell the stories to those beings you may not see but can feel nonetheless. They love a good story! Telling stories is, in itself, a magical act. We live our lives through stories, absorbing images of the world, telling ourselves stories of ourselves and our world. We take on board the stories that the news tells us, that our friends repeat, that we learnt as children. We live our lives by these stories. And we can choose new stories for ourselves. Stories full of beauty and wonder and magic. And so on? Sometimes its true, I am too big for size 8 jeans (or size 12 for that matter). As soon as this story becomes ‘I’m too big.’ however, there is a problem. ‘I’m too… anything’ can lead to guilt, shame, disappointment, bitterness. All unnecessary and unhelpful. My point here is not to go into important discussions about body image, but to illustrate how the stories we tell ourselves effect the way we think and feel. Plenty of people are able to help you if you’re dealing with these kinds of harmful thought patterns, here we’re going to choose to shift focus. For something to enter your life, there must be space for it. For enchantment to enter your life, you must make space to be enchanted. Even if all you can manage is a picture hanging on a wall, a postcard tucked in the corner of the bathroom mirror, a pendant, or a pocket-sized tin full of tiny pebbles and dried flowers, making an actual, physical place for enchantment tells your deep self, your subconscious, your child self, that this is something you want to give space to in your life. Every time you see it, you will remember. Every time you give attention to it, the emotions and energies it invokes will ripple out into your life. Psychologically it will remind you of your dreams of an enchanted life. Magically, like attracts like, so you encourage wonder by depicting wonder. And, in a very real way, you are offering hospitality to those that would help you reach the state of enchantment. A small symbol is a place to start, a full-blown altar or faery garden is even more potent because the amount of time and energy you put into creating it echoes through your life. If you don’t know how to begin, think of images that evoke enchantment in you, track some down. Find sculptures, toys, images and objects that remind you of the fae. Choose gorgeous fabrics (ones that you like, gorgeous to you is the important bit!) to drape over a shelf, light candles in glass holders, burn incense that makes you think of wild places. Collect natural objects, leaves falling in the autumn, flowers gently picked, stones with patterns or holes… arrange these in a way that you enjoy! Coloured pebbles and sea-glass are lovely in pretty jars or a bowl, none of this has to be obvious to anyone else, its just between you and the Fae. Mirrors and sparkly things are good too… and you’d do well to leave an offering for the Fae if you can. Inviting guests in and then not offering a cuppa is often considered rude when dealing with other humans, and in the same way, the Fae appreciate offerings too. Cookies, cakes, fruit, chocolate, or poetry, stories and dedicated acts… generally speaking, its nice to share, and something biodegradable which can be left safely outside for them to enjoy is always good. We’ll talk more about offerings later, I expect! Use what feels right, those things that enchant you are what will work best. Make a beautiful space for enchantment in your life and see what happens! Almost five years ago I created a series of weekly prompts for re-enchanting your life on the FeyHearted blog (now an archive of posts from that time) which I eventually collected into the book Pixie Kisses with additional pieces and illustrations. It feels like now is a good time to revisit those prompts. I wrote these whilst working in a town far from home and commuting five hours back and forth every other week. I was exhausted and unhappy and holding on to every piece of magic I could find… and although I knew that it was only temporary I did not know when it would be over. Five years later I live and work in the beautiful heart of Wales, supporting my blossoming creative career with a part time gentle retail job in a lovely art shop and a book contract signed this Imbolc! These Pixie Kisses are pieces of magic, woven each week then as a spell that would re-enchant my world, and shared in the hopes that they would help others too. You might be in a similar position now; tired, bored and unhappy. Anxious about the world and feeling powerless. Or you might be feeling good about things but still know there is more enchantment to be had. Either way, I offer these as a weekly blessing to you and for the world. What follows was the original introduction, and I shall repost each of the Pixie Kisses on Fridays, in honour of the Nordic Goddess of Beauty, Magic and Strength, Freya. Let the Pixie Kissing Begin! Do you ever feel like there is magic at the edge of your life, but its easy to forget it? Its easy to slip into a space where you miss the wonder waiting at the edges of your world and you feel weighed down by the 9 till 5 of a workaday life, or 6 till midnight in some cases! Have you ever felt so sure that there is more than this? Or have you found those sprinkles of pixie dust? The flashes of wonder? The kisses of the fey? And do you want more? I know that each and every one of us could benefit from more playtime, more magic, more wonder. Every one of us is a little happier when the world is enchanted. I’m writing to show you that you are right. There is more than the mundane world, more than the grey. There is more to life than this. Life is full of wonder and magic and pixie kisses. And sometimes its dangerous too, and thats ok. Life is full, thats what makes it life. And set the magic free! Its time to re-enchant the world. Do you want to get in touch with your Fey side? Or with the Fae themselves? Do you want to bring Faeryland closer for yourselves, or for everyone? Do you want to bring more magic and creativity into your life? Do you want to face both the light and the dark and find wonder in both? Or do you want all these things?